Mode 2 (Throttle on the left). Conversion to Mode 1 (Throttle on the right) is possible. See manual how to do. Plug in this commander via a free USB port. 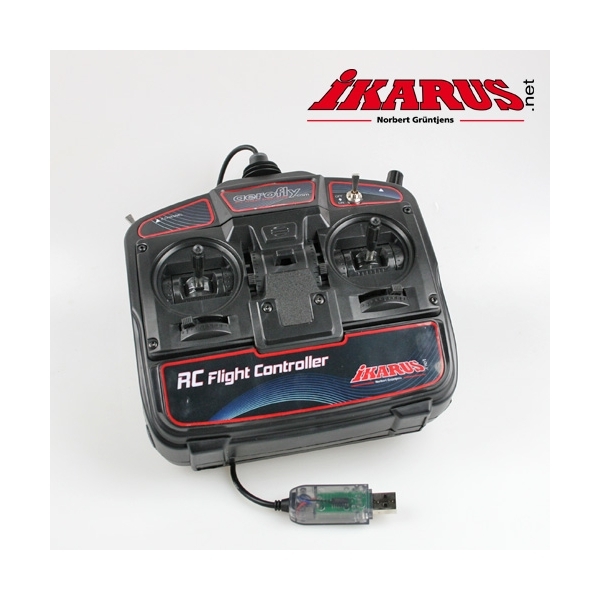 This controller is usable for the aeroflyRC7 download version and also for the DVD version! This commander is offering, besides the main functions one switch and one proportional channel. You may operate retracts, flaps etc. with these additional channels at your controller. 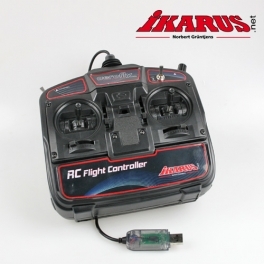 Fly all models of the aeroflyRC7 with this commander, feels like real! Note: This Commander isn`t usable for the former Flight Simulators aerofly Professional or aerofly5.